I'm falling into a new craze for leather jackets and skirts. I keep seeing them everywhere in Forever21. Leather jackets, skirts, leggings and pants and now I see them all over Japanese fashion magazines. I can't help myself from refraining to buy some leather skirts, jackets and maybe even some leather pants. I also think it has some influence from blogger Tricia Gosingtian as well, as she always seem to be wearing leather skirts with knit tops and graphic tees. It's like her signature outwear of all time. I saw so many different styles of leather jackets at Forever21 earlier this week but I couldn't decide which style I want to get. 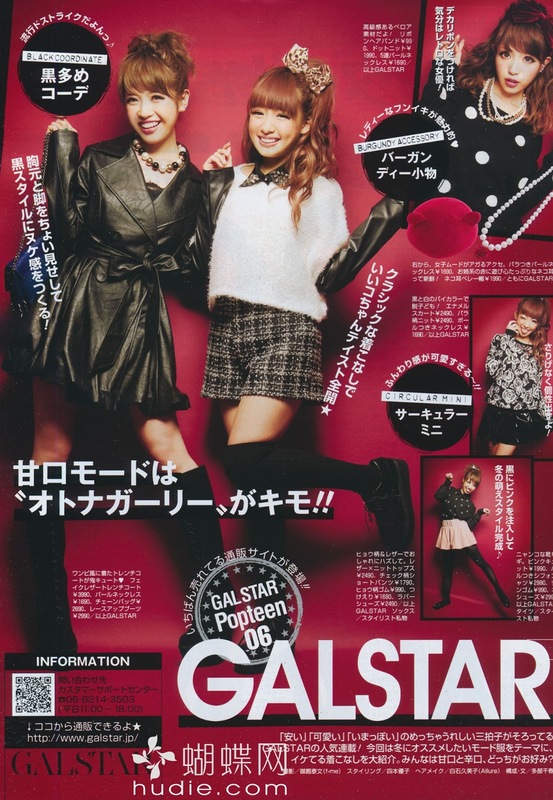 But after going through some scans from Popteen and Seventeen, I think I know which style to get now. Although I don't think I could wear these outfits during the winter here in Canada. I mean who am I kidding, who would wear outfits like these when it's like -10 or -20 degrees celsius outside?! It's only in Japan where you'd see people rocking such cute kawaii outfits like these in the freezing cold weather. 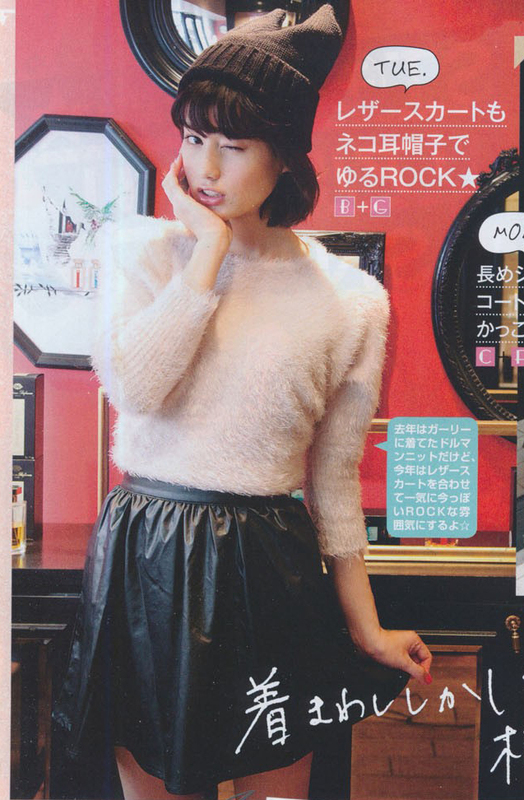 That's something I really admire about Japanese people and their love for fashion. It does not matter what the weather is outside, hot or cold, it won't stop them from dressing and looking cute. I sadly could not make such sacrifices for fashion even if I do love fashion with all my heart. I'd still really rather dress warm and stay cozy! XD But I think these cute outfits would be wearable for warmer weather comes close to March and April during the spring here in Toronto. Winter isn't even over yet and I'm already thinking about what to wear for spring. Talk about thinking about fashion a season ahead, lol. It'd be nice to pair a leather jacket with some pretty and cute onepiece floral/pattern dresses for spring. Oh, I can't wait for spring to come again! Some inspiration outfits that I collected from the magazine Popteen and Seventeen in the December 2012 issue.